Read about the compassion cultivated in Bethel's physician assistant program, how Professor of Nursing Kristin E. Sandau is emphasizing collaboration in healthcare, how Bethel is offering holistic support to students and more! 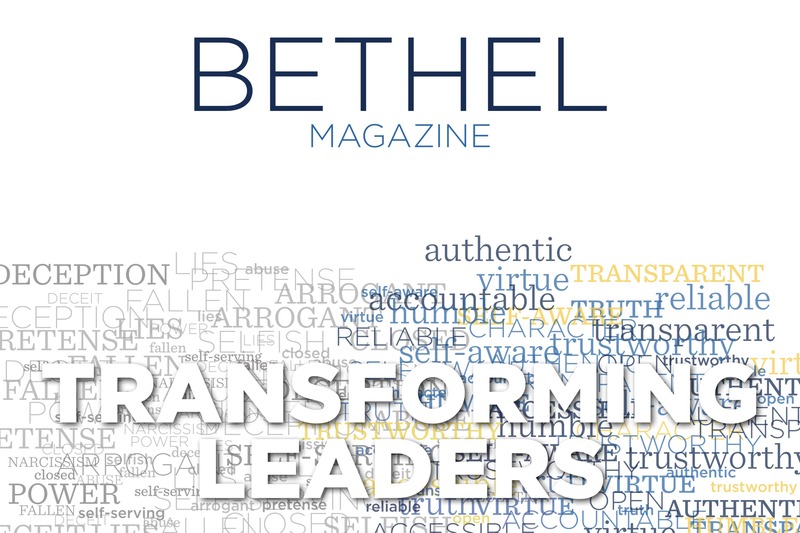 Read about Bethel Seminary's new Ministry Scholars Program and church planting certificate, the captivating story of current student Earl Miller's road from prison to the pulpit, and much more. 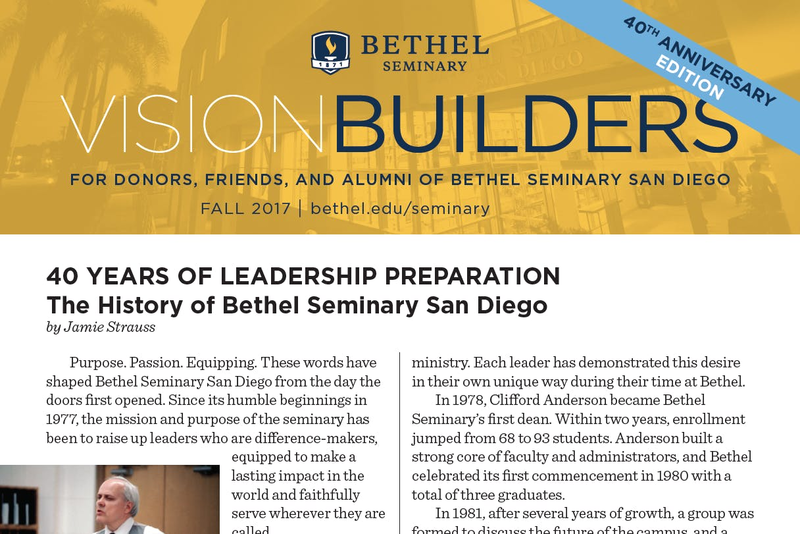 Read about the growth, change, and history of Bethel Seminary San Diego in the 40th Anniversary Edition. 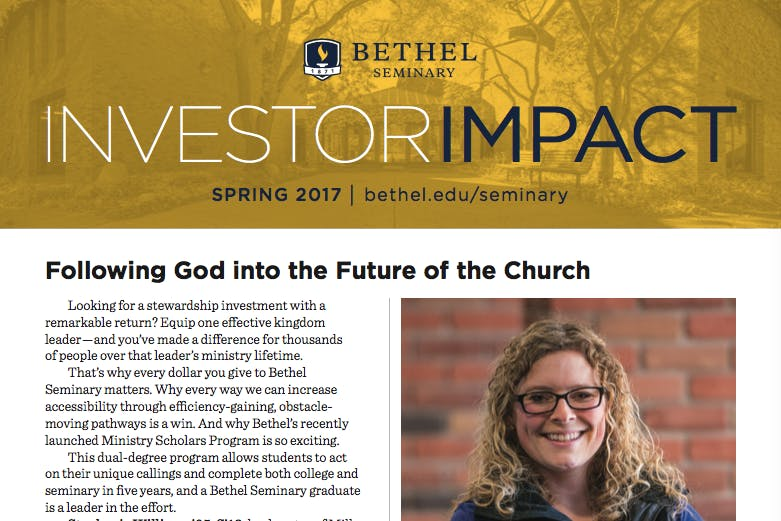 Learn about ways your gifts are impacting Bethel students. This issue includes Wellness Center construction progress, highlights from each school, a recap of spring sports, upcoming events, and more! 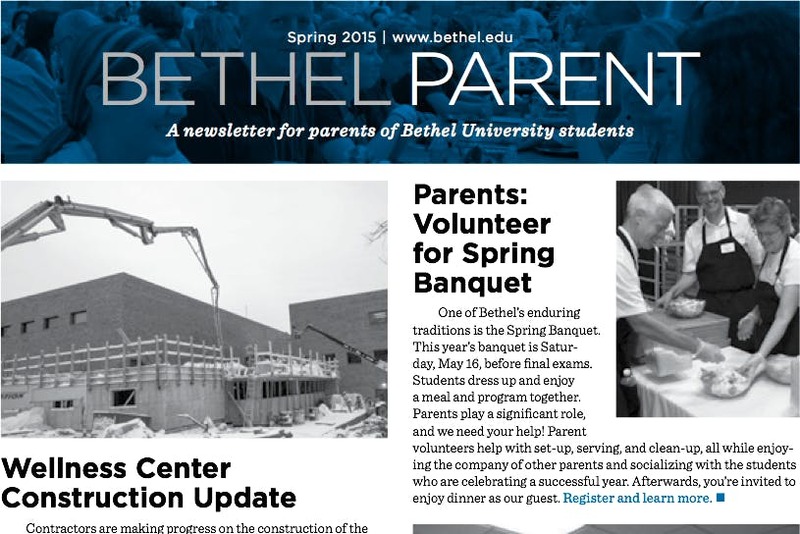 Read about Wellness Center construction update, Bethel's new vision and direction, new scholarships, help with student career preparation, and much more.